Eco-friendly materials combined with a classic cut style. 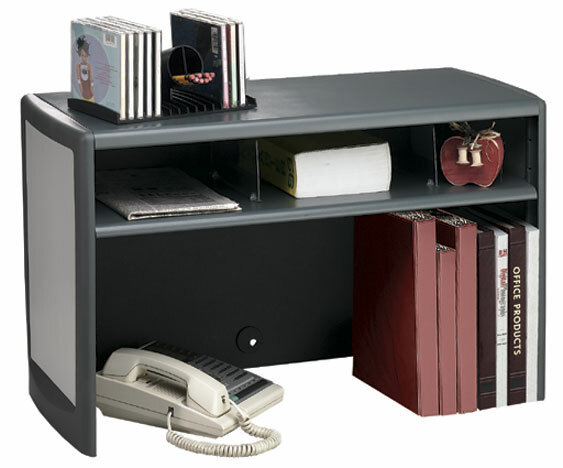 This modern desk combo is perfect for ANY decor. 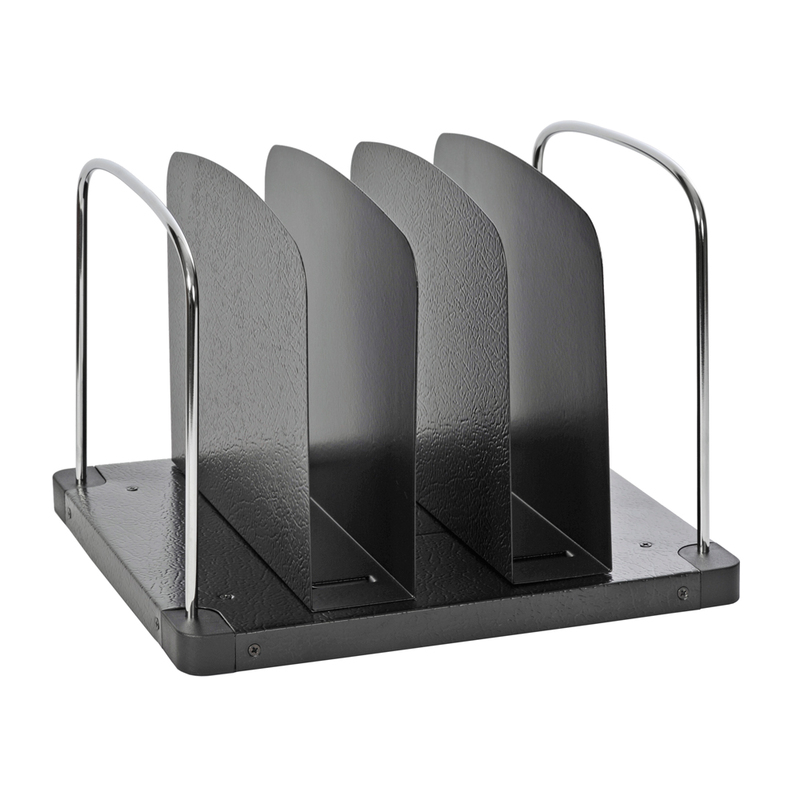 The TRIO Line is a combination of three durable, strong materials steel, wire and plastic! All recyclable , made from 30% post consumer materials. 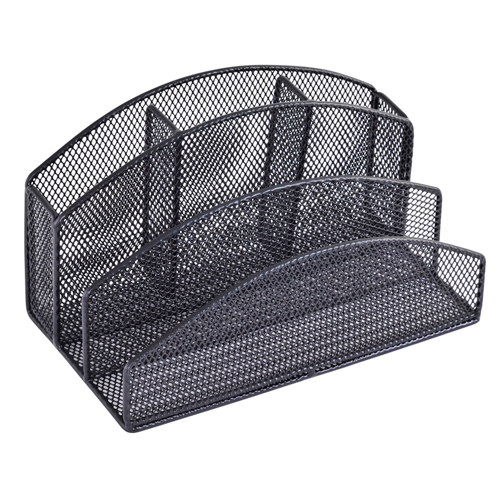 Simple to assemble and comes in two great colors Charcoal and Black. All our TRIO products have a Lifetime Warranty. Eco-friendly materials combined with a classic cut style. This modern desk combo is perfect for ANY decor. 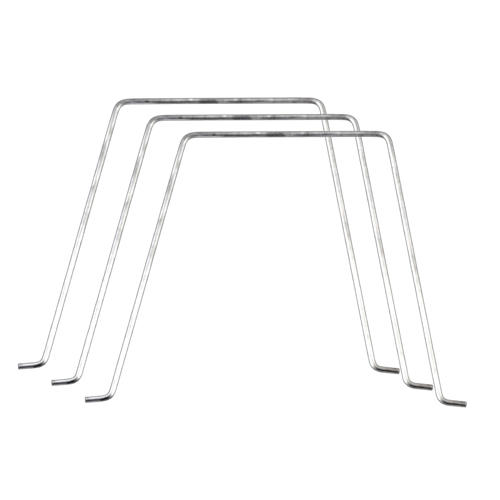 The TRIO Line is a combination of three durable, strong materials steel, wire and plastic! All recyclable, made from 30% post consumer materials. 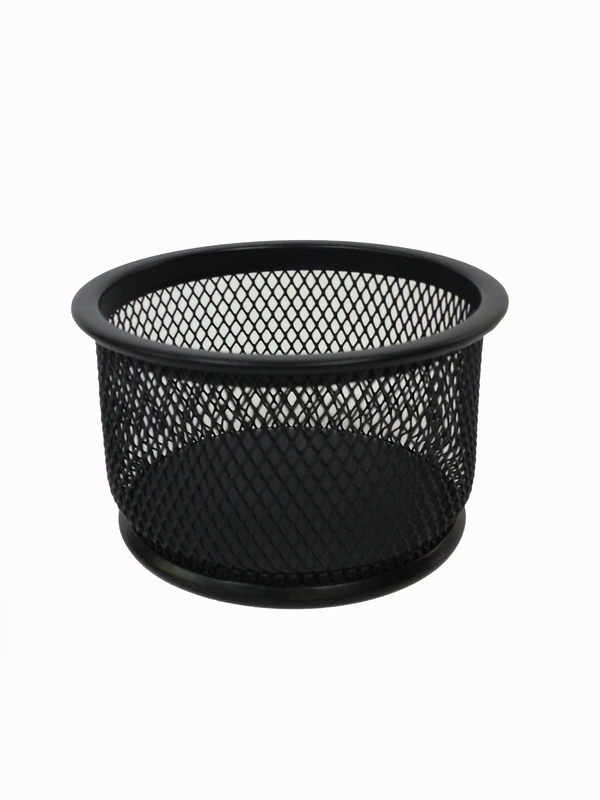 Simple to assemble and comes in two great colors Charcoal and Black. Eco-friendly materials combined with a classic cut style. This modern desk combo is perfect for ANY decor. 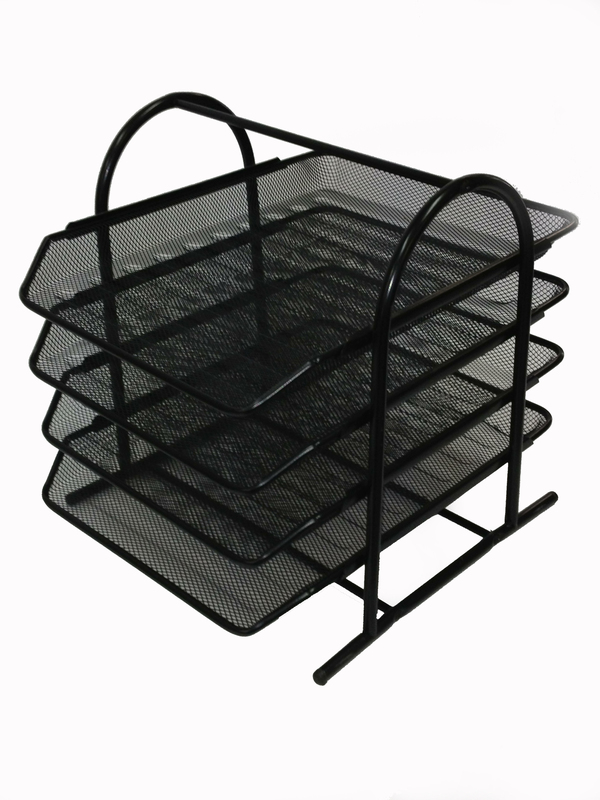 The TRIO Line is a combination of three durable, strong materials steel, wire and plastic! All recyclable, made from 30% post consumer materials. Simple to assemble and comes in two great colors Charcoal and Black. All our TRIO products have a Lifetime Warranty. 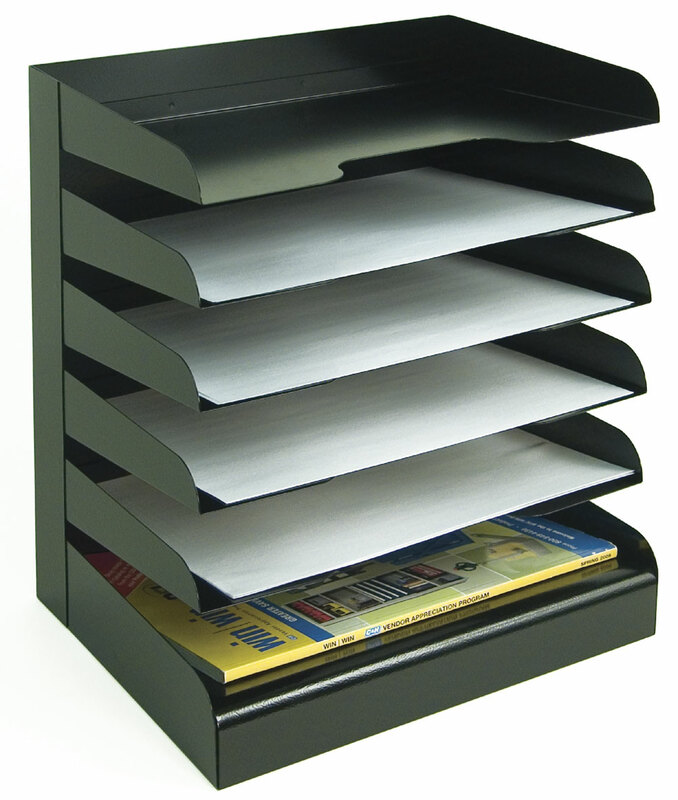 Attractive desktop unit keeps paperwork neat and organized right at your fingertips. 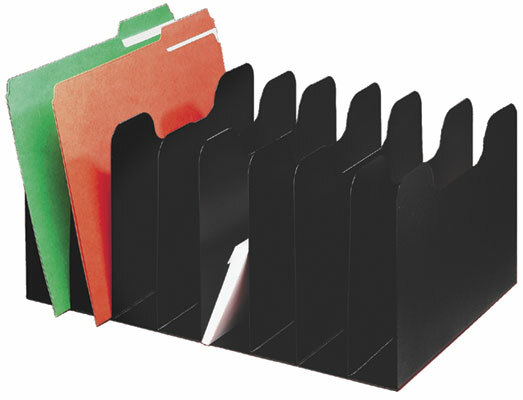 Spacious 2 wide pockets are perfect for organizing file folders, binders, literature, reference books, and more. 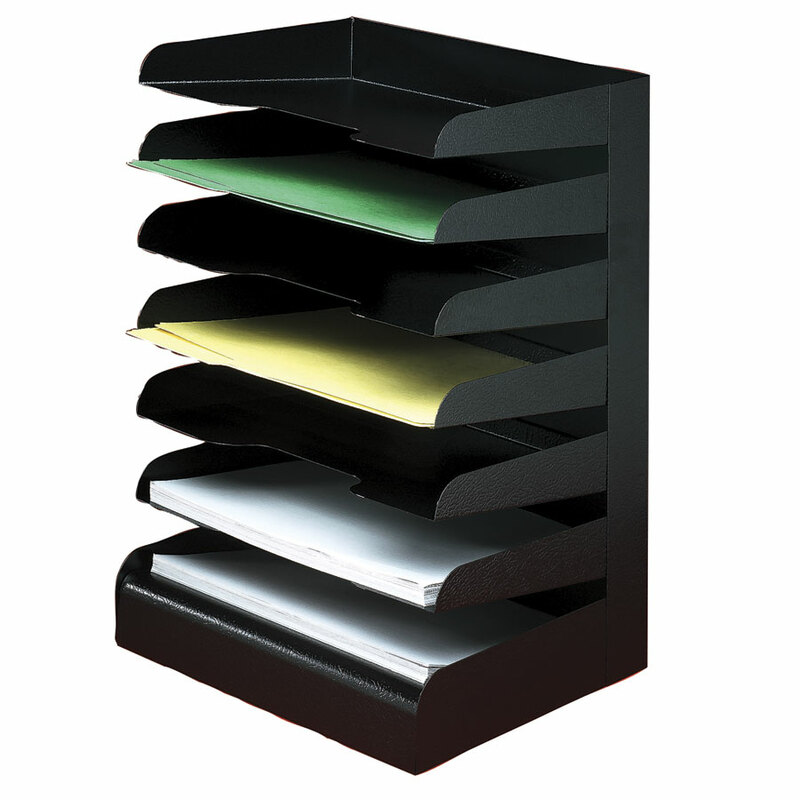 Attractive desktop unit keeps paperwork neat and organized right at your fingertips. 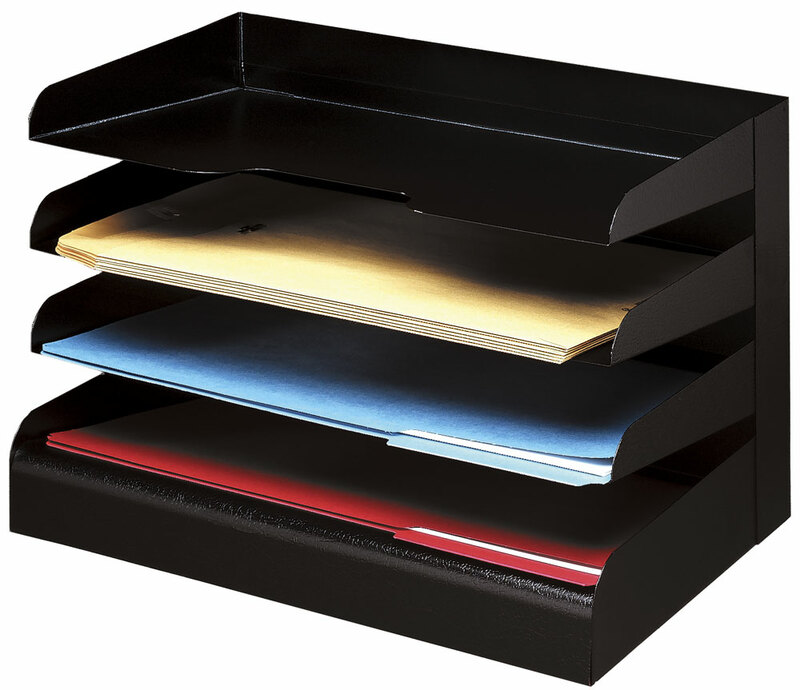 Spacious 2 wide pockets are perfect for organizing file folders, binders, literature and reference books. 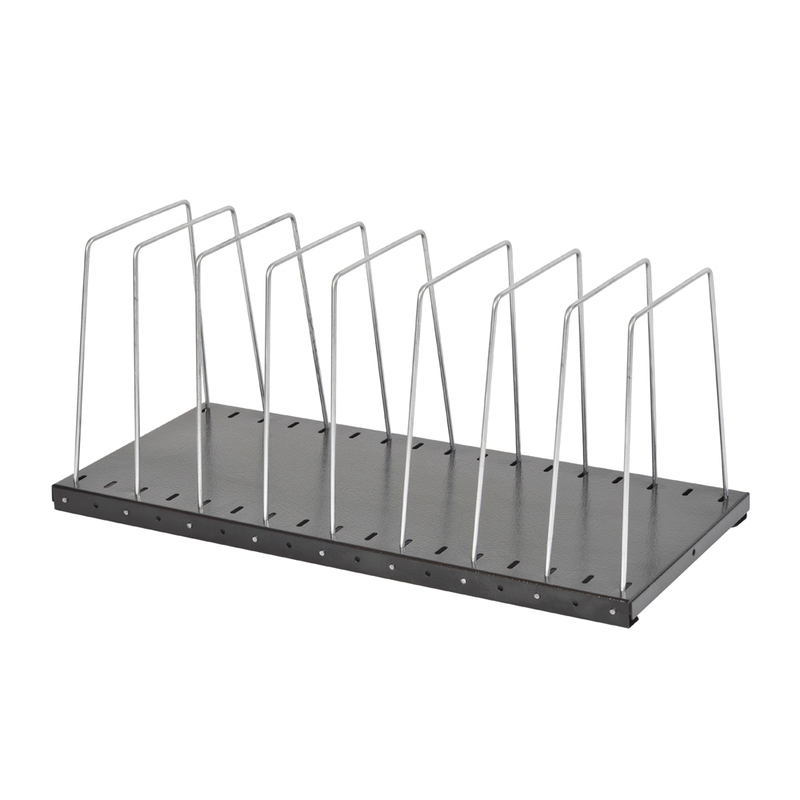 Extra shelves for adjustable sorting rack (model 1112). 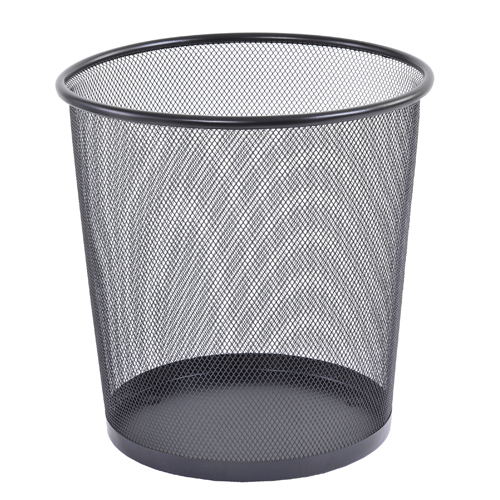 Durable steel construction. Sold in pack of 6. 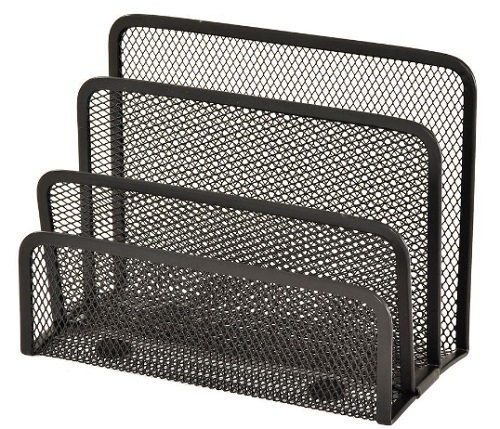 Single unit desk trays stack horizontally on unique stacking slots for a one-piece look. 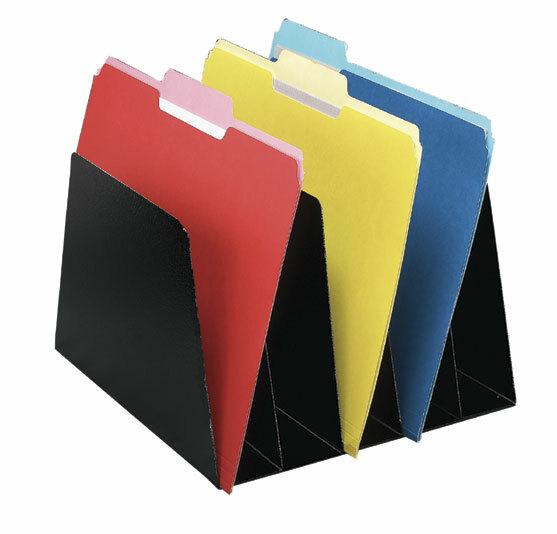 Solid side panels ensure stability. 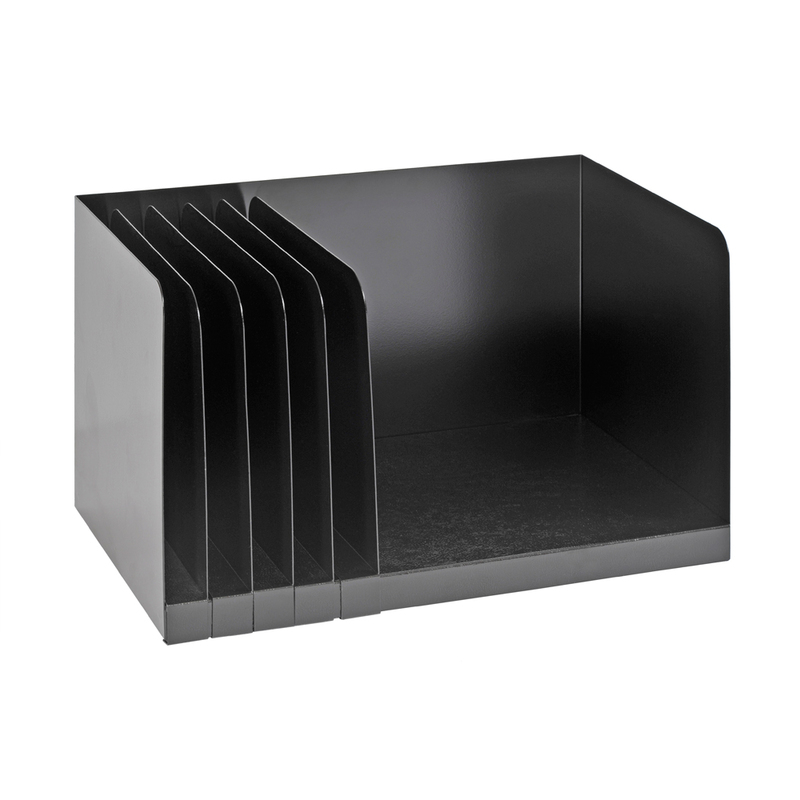 Horizontal desk trays feature radius cutout shelves for easy access to papers and files. 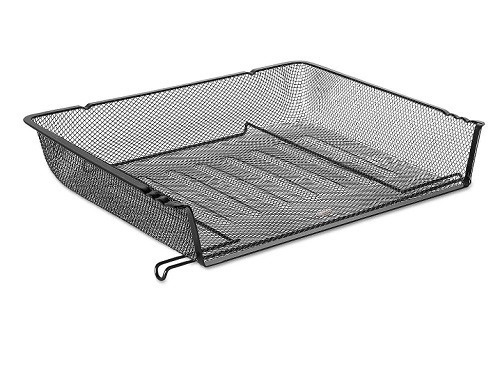 Durable, heavy-duty base for stability. 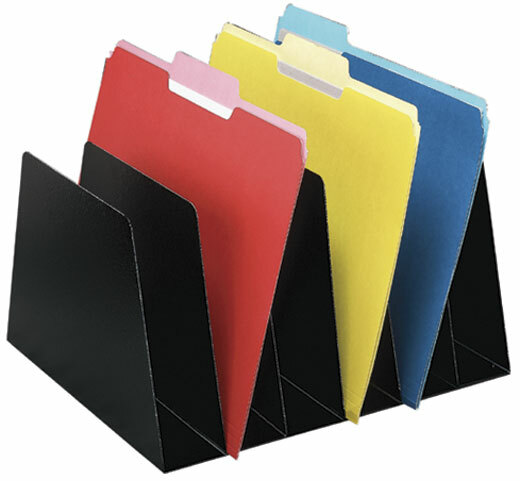 Available in multiple shelf configurations, letter size (#0403-#0407) and legal size (#0414-#0416). **0406 Letter size pictured. **7 pocket available in Letter Size Only! 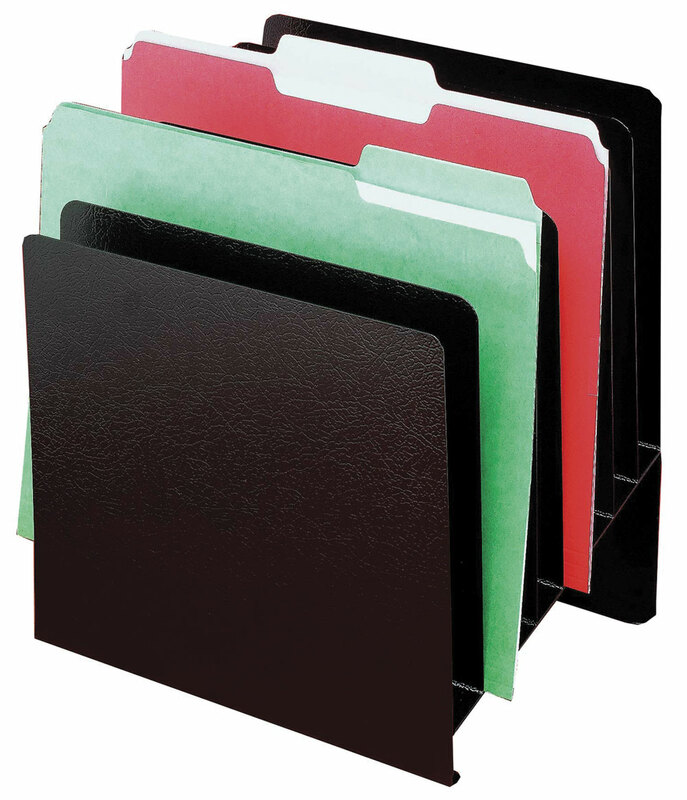 Horizontal desk trays feature radius cutout shelves for easy access to papers and files. 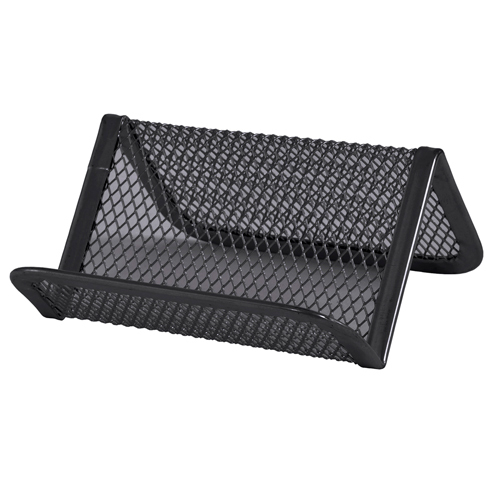 Durable, heavy-duty base for stability. 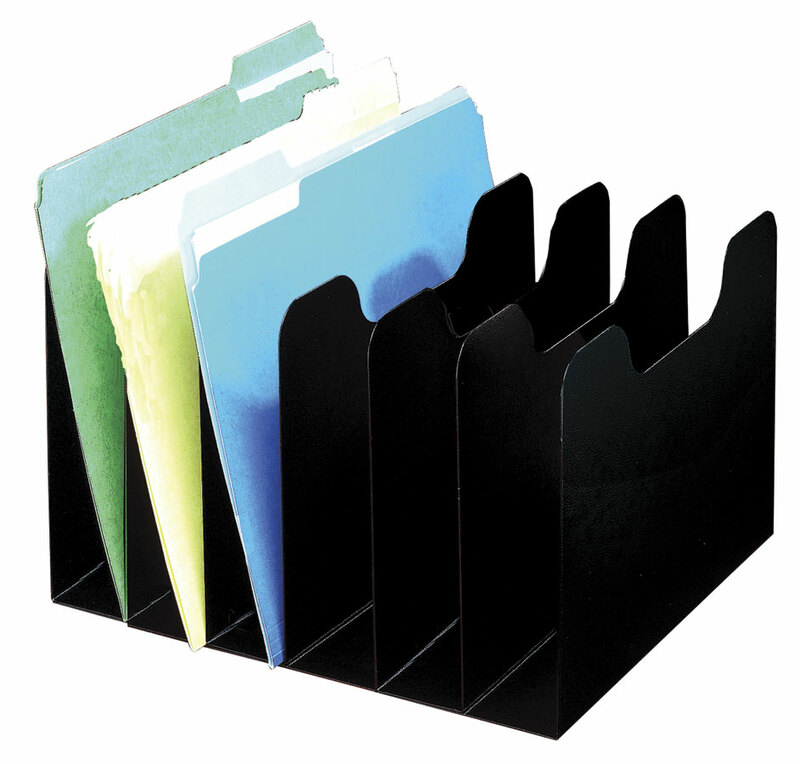 Great for large reference materials such as a dictionary, thesaurus and phone books. 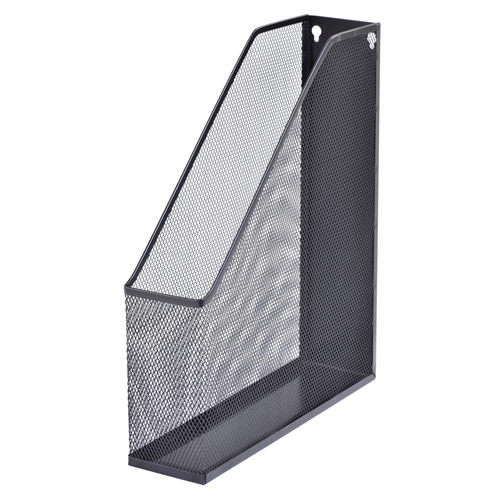 Features 5 removable steel dividers to hold materials securely. 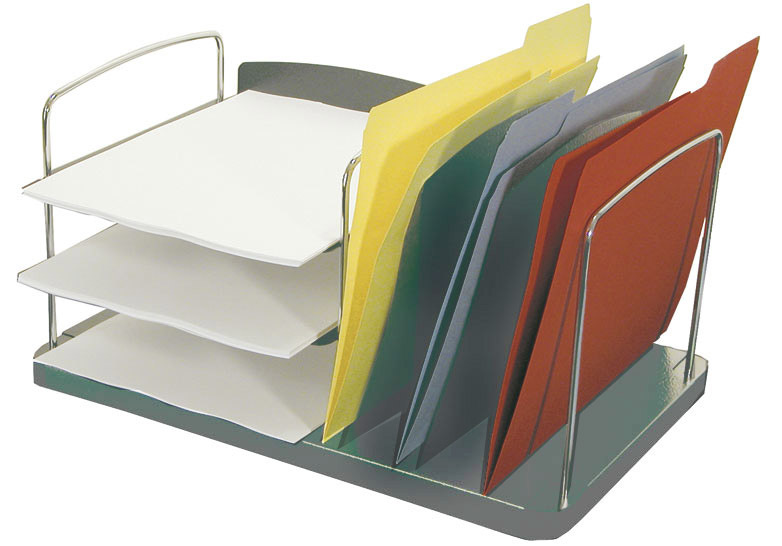 Buddy Products 6 Tier Trays are the perfect way to stay organized and keep your desk neat and uncluttered. 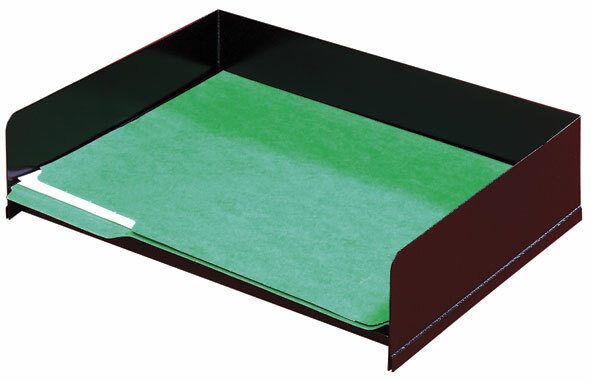 These horizontal desk trays feature radius cutout shelves for easy access to important papers and files. 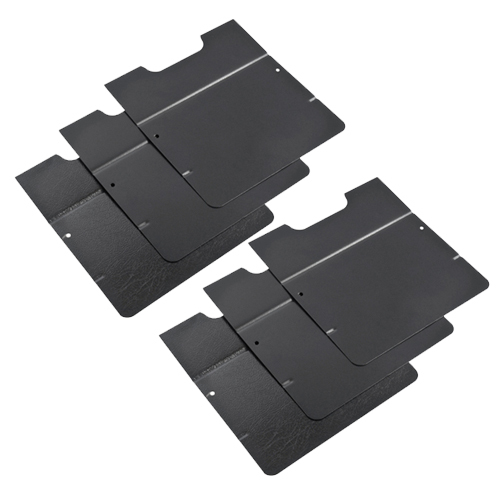 They are made with a durable, heavy-duty base to provide stability. 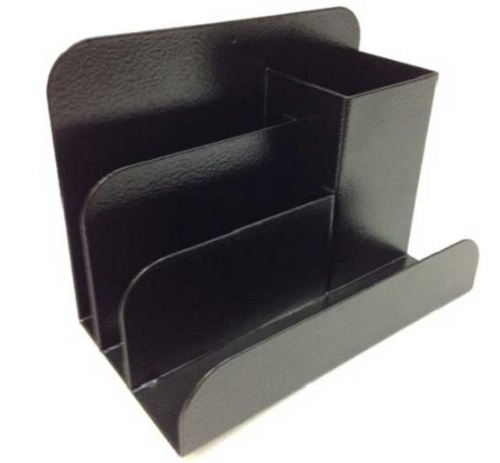 These trays are available in multiple shelf configurations, and in letter and legal size. 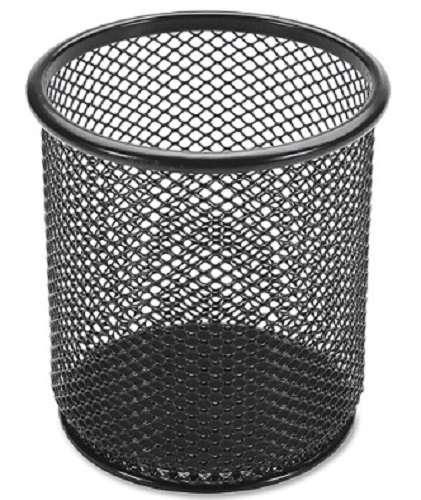 Made in the USA using 30% post-consumer recycled materials. 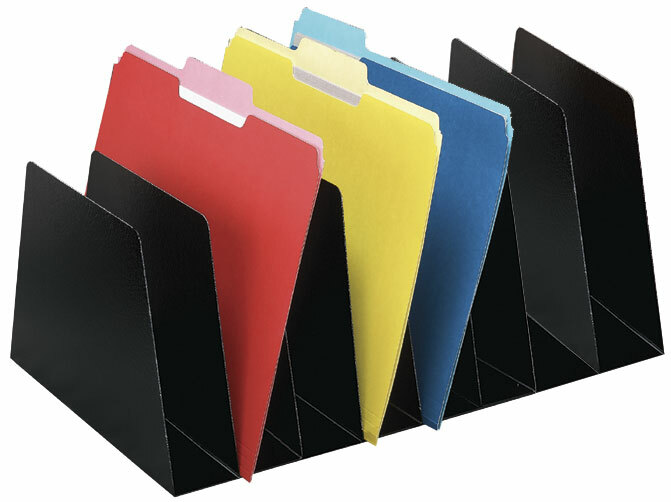 Buddy Products combines quality designs with affordable pricing to create everything professionals need to maximize productivity and organization in the workplace. 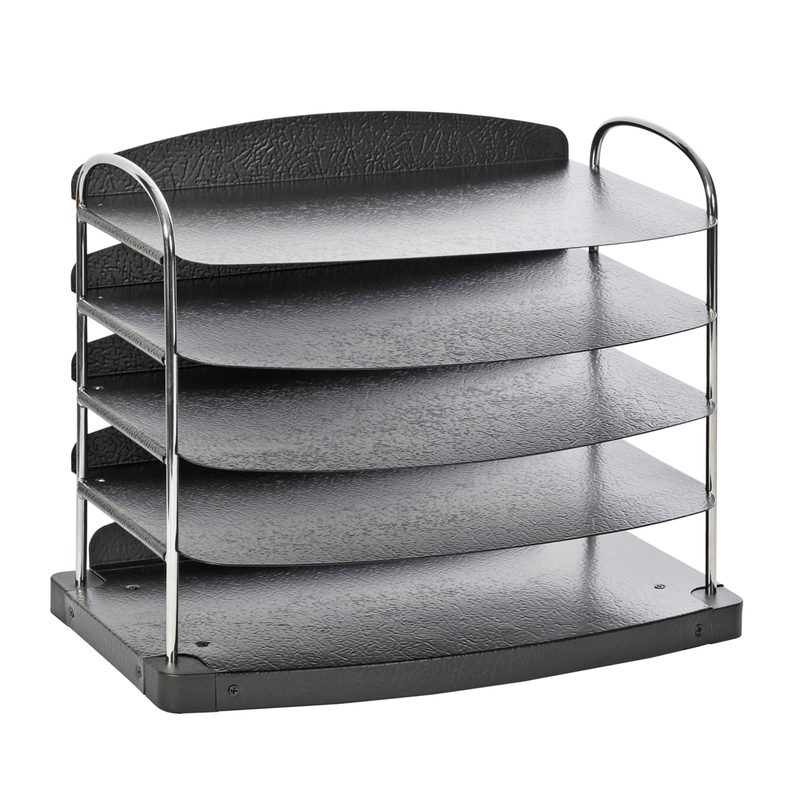 Designed for versatility, shelves adjust in 1 increments! 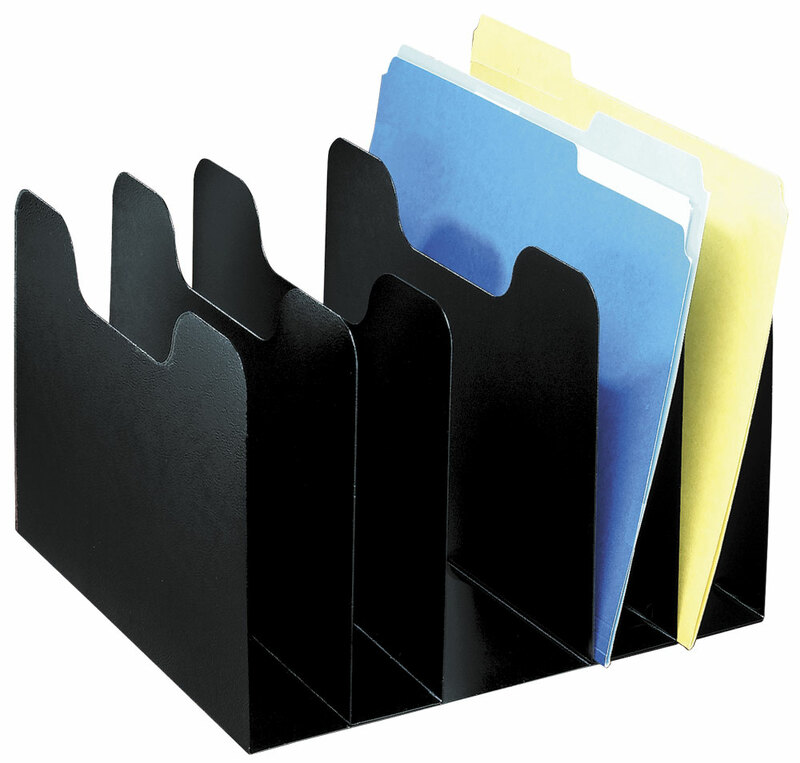 Perfect for any size literature, binders, or files. 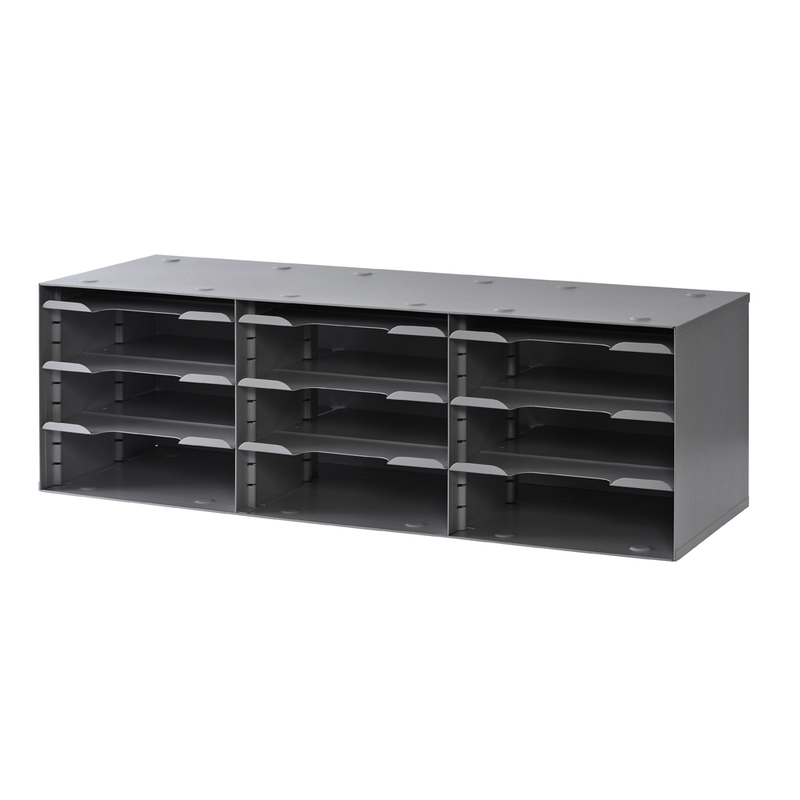 Built-in recesses on top for stable stacking of multiple units. 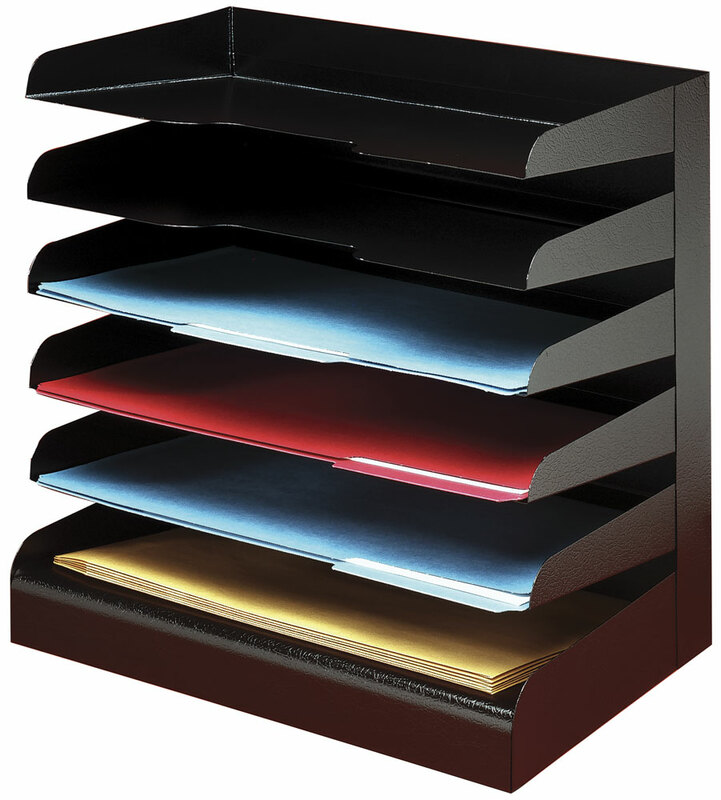 Four compartment steel desktop organizer. 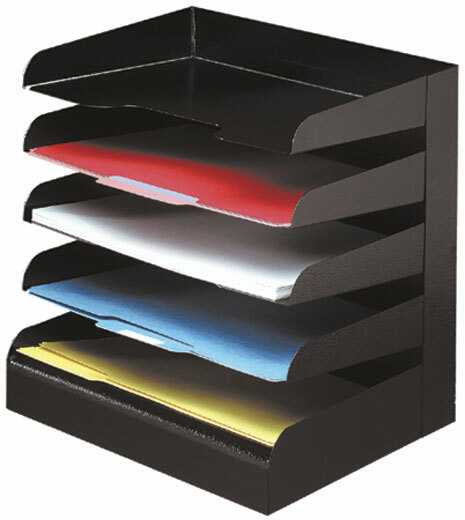 One compartment holds pens, pencils, scissors etc. 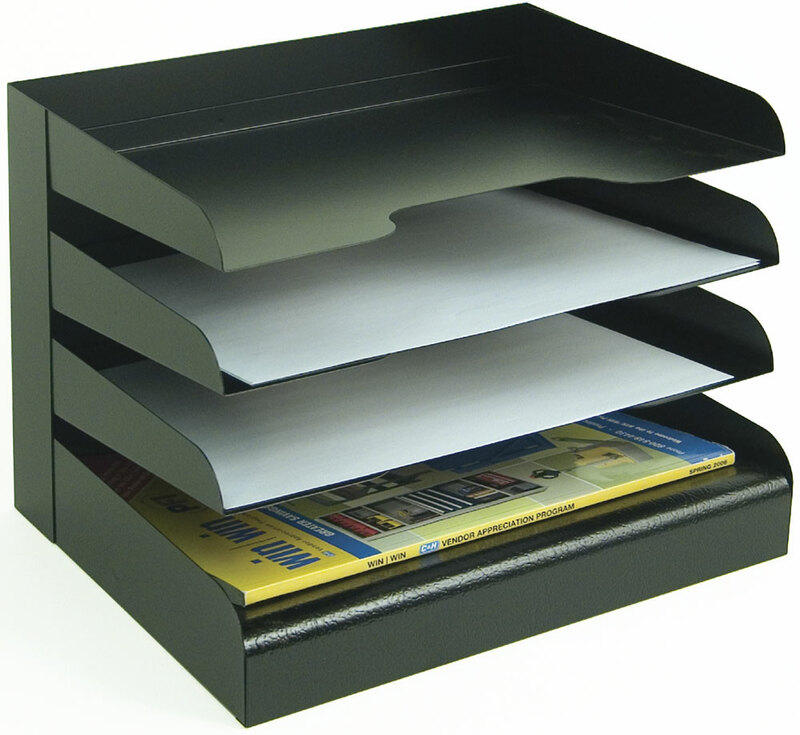 Three additional compartments to hold mail, messages, memo pads and business cards.